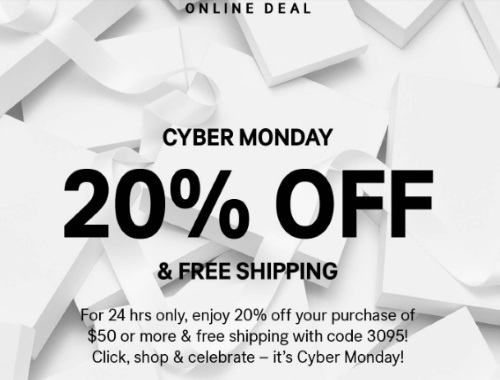 H&M Cyber Monday is here! Save 20% off your entire purchase of $50 or more and get Free Shipping too! Enter the promo code 3095 at checkout to get this offer. Offer is valid through November 27, 2017.